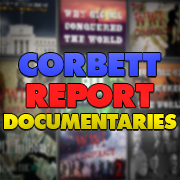 Greetings, Friends.Welcome to The Corbett Report Subscriber, the weekly newsletter for members of The Corbett Report website. My editorial is always available for free at TheInternationalForecaster.com, but this week’s subject is of such importance that I am opening this post up for everyone. If this information is of value to you, please help spread it to others. This work is made possible by the subscribers of this website. For as little as $1 per month you can help to keep this work coming. 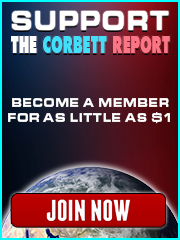 If you haven’t yet, please sign up for a Corbett Report membership by clicking here. Given Strong’s remarkable ascent through the ranks of political power to become a globalist kingpin, it won’t be surprising to hear that he had political connections in his family. But it may be surprising to hear where those connections were placed. His aunt, Anna Louise Strong, was a committed communist who befriended Lenin and Trotsky (who asked her to teach him English) before she ultimately settled in China, where she was on familiar terms with Mao Zedong. 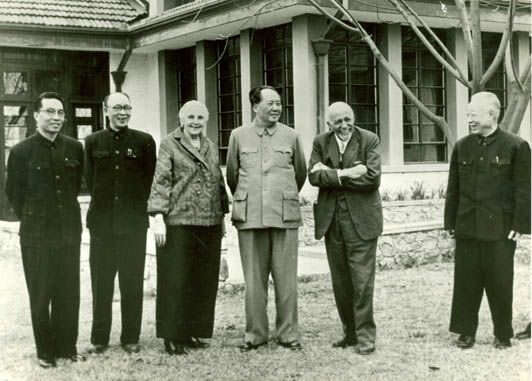 She became close with Zhou Enlai, who wept openly when she was buried with full honors in Beijing’s Babaoshan Revolutionary Cemetery. 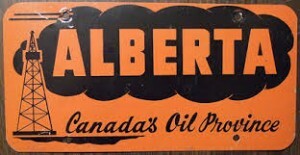 It was a Standard Oil veteran, Jack Gallagher, who gave Strong his big break in the Alberta oil patch when he quit his UN security job to return to Canada. Gallagher had been hired to create a new oil and gas exploration company by Henrie Brunie, a close friend of Rockefeller associate John J. McCloy. Strong signed on as Gallagher’s assistant. His quasi-business/quasi-governmental/quasi-“philanthropic” career reached a new level in 1969, however. 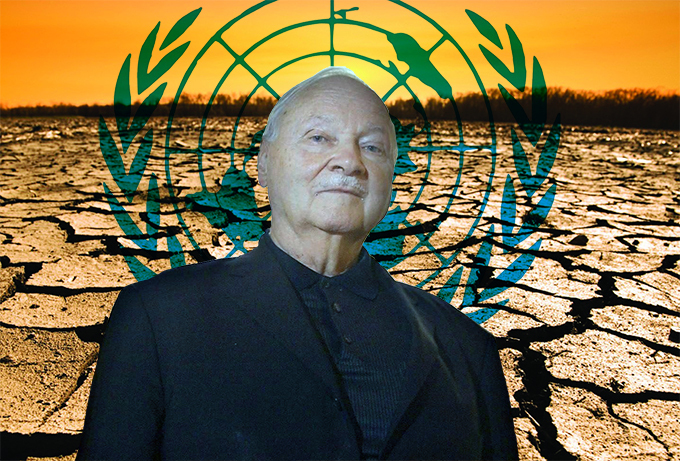 That’s when the Swedish ambassador to the UN called Strong up to see if he wanted to head the forthcoming United Nations Conference on the Human Environment, due to take place in 1972. 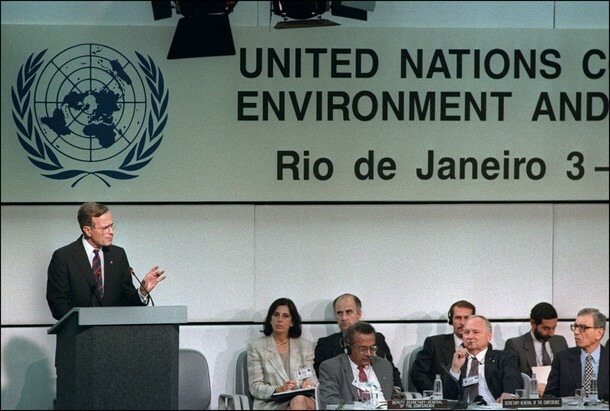 He got the call not out of any supposed love for the environment, but because even by that time Strong was renowned as a human Rolodex of political, business and financial connections across the developed and developing world. Rothschild’s dream came true when Strong presided over another high-level UN environment summit: the 1992 Rio “Earth Summit.” Although perhaps best known as the conference that birthed Agenda 21, much less well known is that it was the Earth Summit that allowed the World Conservation Bank to become a reality. 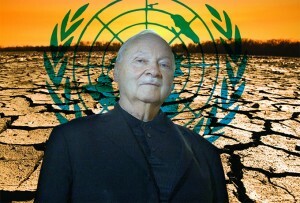 Strong’s own website has described the Earth Charter as “a widely recognized, global consensus statement on ethics and values for a sustainable future,” but Strong himself has framed the document in religious terms, saying he hopes it will be treated like a new Ten Commandments. The Earth Charter itself rests in the “Ark of Hope,” a literal ark that was constructed specifically to house the original document in an obvious reference to the ark of the covenant. The ark was unveiled on September 9, 2001, and then carried 350 miles to the United Nations in the wake of 9/11. 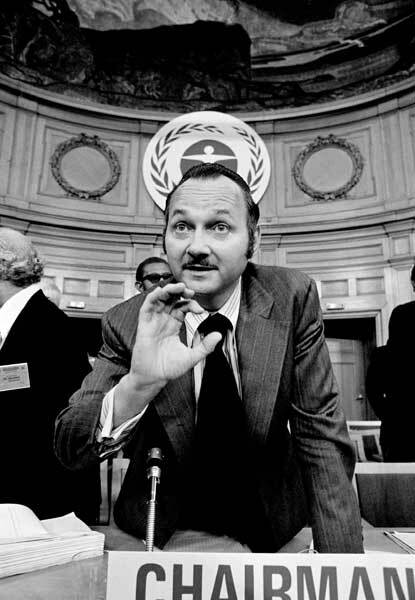 The Earth Charter Commission member who presided over the unveiling just happened to be none other than Steven C. Rockefeller. WHY do we need to fundamentally re-think MONEY? Just began skimming it but Maurice’s spiritual new age tendencies also start making sense when you realize his grandfather was a pastor. 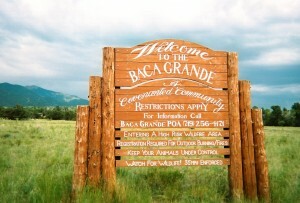 Several years back most of the land got passed to nationalized great sand dunes wilderness area. Not sure on the water rights. 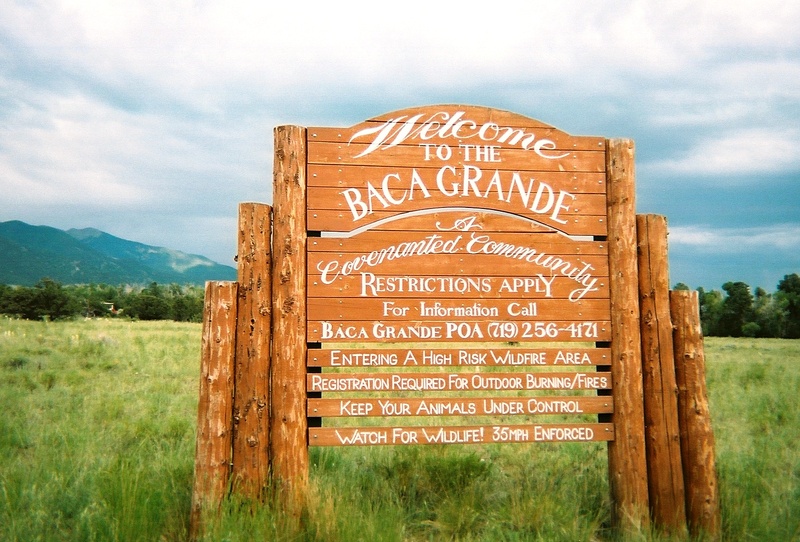 His ex-wife is still around, she is friendly and was integral in making the nearby town of Crestone into a spiritual center with many different grants of land to create centers. I know this philanthropy is window dressing to hide the underbelly, but their beloved town did become pretty cool. Thanks for the new info, many around here will be interested in this. Thanks for the info, Jopa. Good to have someone on the ground who can give some local insight. The Saudi link was something I found referenced in several different articles on Strong, but I couldn’t trace it back to a source document so if anyone can help fill in that blank it would be appreciated. 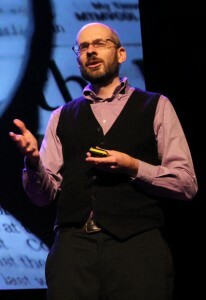 Couldn’t help but notice some similarities to the story of Strong and Gerald Butts, former President of the World Wildlife Fund Canada and now Principal Secretary to Justin Trudeau. 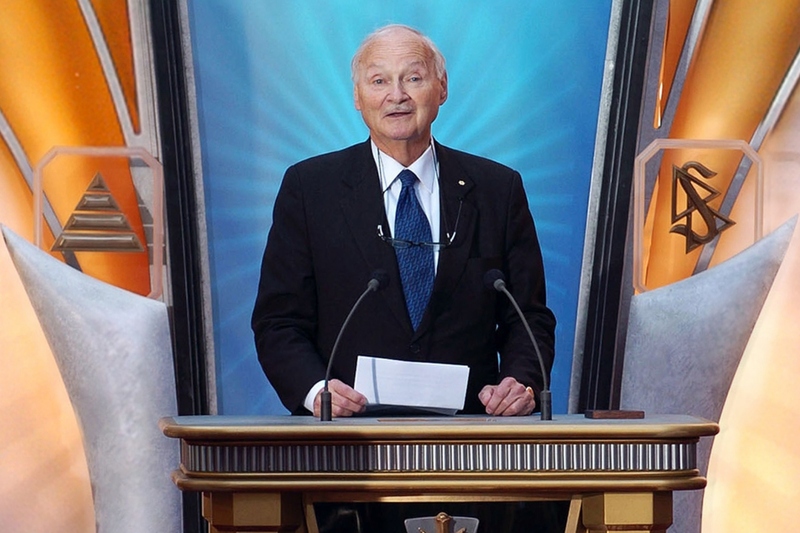 Perhaps Gerald is the Canadian chosen to fill the void Maurice left behind?